Can You Save Money on a One Way Car Rental? There are times when the best way to see the United States is to fly into one city and fly home from another, using a rental car to get from one city to another. Unfortunately, this convenience comes at a price. US rental car companies typically charge a large dropoff fee, either adding it on to the rental car rate or bundling it into the daily rate, in order to dissuade customers from booking one way rentals. You may decide that the convenience outweighs the extra cost, of course, and it pays to research prices and availability before you book your one way car rental. I checked rates at major US rental car companies to see if prices varied enough to make in-depth research worth my while. I selected two types of rental cars, a Toyota Corolla and a Chevrolet Impala (midsize and full size), and chose the dates December 16 to December 21, with pickup at Boston Logan International Airport and dropoff at Orlando International Airport in Florida. All quotes were for unlimited mileage. Alamo's quote for a midsize car was $1,297 and the rate for a full size car was $1,490. Avis' rate for a midsize car was $1,216 and the quote for a full size car was $1,249. 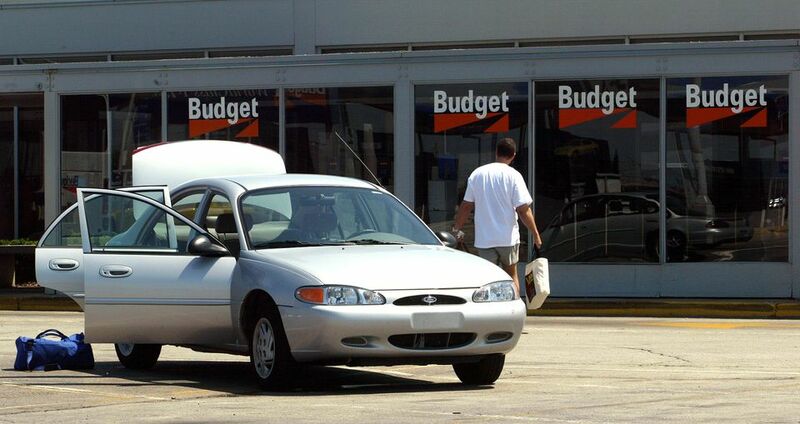 Budget quoted $1,216 for a midsize car and $1,249 for a full size car. Dollar will not permit renters to drive a car one way from Boston to Florida. The only places you can drop off a one way rental car are Connecticut, Massachusetts, New York City and Rhode Island. Enterprise quoted $1,157 for a midsize car and $1,181 for a full size car. A dropoff fee of $500 is included in each of these amounts. Hertz charges $1,211 for a midsize car and $1,248 for a full size car. National quoted a rate of $1,298 for a midsize car and $1,490 for a full size car. Thrifty charges $923 for a midsize car and $939 for a full size car. These amounts include a dropoff fee of $579.92. Rates did vary, as I thought they might; the difference between the cheapest and most expensive rates was $293 for a midsize car and $310 for a full size car. I checked prices on Kayak to see if I could find any discounts there, and I discovered that prices were exactly or nearly the same as the rates I found through my research. I also checked Priceline; prices there for my chosen dates and car sizes were a bit higher than the rates I found on my own. Seasonal deals on one way rentals do pop up, so if your schedule is flexible, you might want to spend some time looking for bargains. For example, one way rentals from certain Arizona locations to California are very inexpensive in the springtime, as are one way rentals from Florida to the northeastern or mid-Atlantic United States. As of this writing, Sixt offers inexpensive one way rentals at some locations within Florida during the month of September. If your car insurance company offers rental car discounts, check to see if those discounts apply to one way car rentals. If you are a member of AARP, AAA, CAA or Costco, ask about rental car discounts from that organization.